1) PLENTY OF HYDRATION!!! H2O is indispensable. 2) High quality, organic if possible, proteins low in fat. Soy, poultry, scalar fish (not shell fish) and even beef if of the leanest type are very good. Avoid excessive dressing of the protein source with sauces or condiments that can add as much or more fat into the protein as was avoided by choosing a good, lean protein to begin with. Ballet North is not crazy on fish because many types of fish don't sit in the stomach well, but fish is a lean protein source to be sure. 3) Good quantities of fiber, i.e. whole fruits and vegetables in as natural a mode as possible. These deliver minerals and vitamins with almost total absorbency and their fiber avoids sugar crashes. V8 juice, etc., is fine but nothing replaces real fruits and vegetables. 4) High quality carbohydrates - whole grain rice, corn, oats or wheat. Sorry, French fries or corn chips don't count for this one! Carbohydrates are number 3 because even whole grains if eaten in large quantities can cause sugar crashes we have found. Even high quality carbohydrates still need to be moderated by protein and fiber to avoid sugar/energy crashes. 5) Just enough indulgence in all those "bad" foods to keep you feeling like you are not depriving yourself, and so that the majority of the time you stick to these guidelines. The occasional splurge is very helpful psychologically, and with this diet on stage or in the race, you will have the performance ability you need. How many calories do you need? 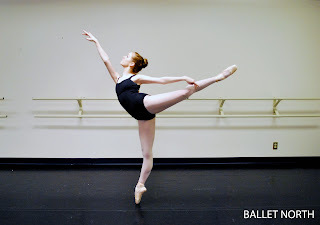 A good rule of thumb for female ballet dancers is that if you are over 13 but under 20 years of age and weigh between 105 and 135 lbs, when you are very physically active you need somewhere between 1650 - 2150 high-quality calories NOT from junk food per day to maintain energy, assist the body in recovery and avoid weight fluxuation either up or down. HOWEVER, you will want to subtract about 350 calories off this range when you lower your activity level. Remember there is no perfect number for anyone as everyone's metabolism is different but sticking to a rule-of-thumb range like this can be an excellent way to take most of the guess work out of how to feed yourself to stay in shape. If you notice weight loss while heavily exercising and you were not trying to lose weight add calories; if you notice weight gain while heavily exercising and you were not trying to gain weight, lower your caloric intake.